Check out Xavier Woods’s WWE profile here! October 14, 2007 – TNA Bound For Glory: A.J. Styles and Tomko beat Ron Killings and Consequences Creed to win the Tag Team titles! ~~~Austin Creed (as Rasheed Lucius “Consequences” Creed) was so impressive that he was immediately offered a TNA contract. October 20, 2007 – NWA Anarchy: Slim J and The Awesome Attraction defeated Shaun Tempers and Patrick Bentley and Azreal. November 3, 2007 – NWA Anarchy: Jeremy Vain and Rob Adonis defeated The Awesome Attraction by Disqualification. November 17, 2007 – NWA Anarchy: The Awesome Attraction defeated Jeremy Vain and Rob Adonis to retain the Tag Team titles! December 15, 2007 – NWA Anarchy: Austin Creed defeated Shaun Tempers in Cornelia, Georgia. December 9, 2007 – Southern Extreme Championship Wrestling: Austin Creed defeated Salvatore Rinauro. December 29, 2007 – NWA Anarchy: Azrael and Shaun Tempers beat The Awesome Attraction to win the NWA Anarchy Tag Team titles. December 30, 2007 – Southern Extreme Championship Wrestling: El Mexicano defeated Austin Creed. December 31, 2007 – UCW: Dustin Powers defeated Austin Creed and Sal Rinauro in a 3-WAY for the UCW Heavyweight Title. January 5, 2008 – NWA Anarchy: The Devil’s Rejects defeated The Awesome Attraction and The World’s Prettiest Tag Team. ~~~Iceberg and Shawn Tempers and Azrael and Patrick Bentley beat Austin Creed and Hayden Young and Seth Delay and Adrian Hawkins. January 20, 2008 – SECW: Austin Creed and The Nightmare defeated Dark Star and The Eliminator (w/Miss Whiptress). January 26, 2008 – Ultimate Christian Wrestling: Sal Rinauro defeated Austin Creed in a 30 minute Ironman Match. March 2, 2008 – Southern Extreme Championship Wrestling: Austin Creed defeated El Mexicano. ~~~MAIN EVENT: Tommy Rich and Adrian Hawkins and Austin Creed defeated TC and Cody Gunn and Pretty Boy Floyd. March 7, 2008 – SASW: Kyle Matthews beat Austin Creed and Adrian Hawkins in a 3-WAY for the UCW National title. March 8, 2008 – UCW: Colt Derringer and Adrian Hawkins beat Austin Creed and Rob Adonis to retain the UCW Tag Team title. March 23, 2008 – SECW: Austin Creed and Kid Ego and The Nightmare beat Billy Love and Chick Donovan and Sal Rinauro in 2/3 Falls. April 3, 2008 – TNA IMPACT: Consequences Creed declared, “the consequences of my actions will change the world”. April 4, 2008 – Independent Wrestling Network: Vordell Walker w/Melissa Coates defeated Austin Creed in Columbus, Georgia. April 10, 2008 – TNA IMPACT: Consequences Creed (debut) defeated Jimmy Rave in an X-Scape Qualifying match. April 13, 2008 – TNA Lockdown: “Black Machismo” Jay Lethal won a 6-WAY X-Scape Match to retain the TNA X-Division title. ~~~”The Black Machismo” defeated Sonjay Dutt and Shark Boy and Curry Man and Johnny Devine and Consequences Creed. ~~~Jay Lethal defeated Johnny Devine in the Finals with help from both his best friend Sonjay Dutt and his girlfriend So-Cal Val. May 8, 2008 – TNA IMPACT: Jimmy Rave beat Petey Williams and Johnny Devine and Shark Boy and Curry Man and Consequences Creed. May 11, 2008 – TNA Sacrifice: Kaz won the first ever 10-Man Terror Dome match to earn a future TNA X-Division title shot. ~~~Kaz beat Lethal and Dutt and Sabin and Shelley and Devine and Curry Man and Shark Boy and Rave and Creed in a 6-WAY. June 12, 2008 – TNA IMPACT: “The GURU” Sonjay Dutt defeated Consequences Creed in a singles match. June 26, 2008 – TNA IMPACT: “The Phenomenal” A.J. Styles defeated Consequences Creed in a singles match. July 17, 2008 – TNA IMPACT: Booker T w/Sharmell defeated Consequences Creed in a Stretcher Match! July 24, 2008 – TNA IMPACT: Consequences Creed defeated Jimmy Rave and Johnny Devine and Eric Young. July 31, 2008 – TNA IMPACT: Consequences Creed defeated TNA X-Division champion Petey Williams in a non-title match. August 7, 2008 – TNA IMPACT: “Black Machismo” Jay Lethal and Consequences Creed defeated Alex Shelley and Chris Sabin. ~~~~Everybody shook hands after the match, except for Alex Shelley, who shoved Consequences Creed and stormed off. August 10, 2008 – TNA Hard Justice: Petey Williams defeated Consequences Creed to retain the TNA X-Division title. ~~~Sheik Abdul Bashir cracked Consequences Creed with a chair and said he was representative of the entire USA. August 2008: Consequences Creed was featured in a series of “Rough Cut” segments to build up his gimmick and character. August 21, 2008 – TNA IMPACT: Consequences Creed defeated TNA X-Division Champion Petey Williams w/Rhaka Khan by disqualification. August 23, 2008 – Peachstate Wrestling Alliance: Consequences Creed defeated Truitt Fields in Bremen, Georgia. August 23, 2008 – SECW: Frankie Valentine and Consequences Creed defeated Kyle Matthews and The Nightmare. August 28, 2008 – TNA IMPACT: Jay Lethal and Consequences Creed defeated Petey Williams (w/Rhaka Khan) and Sheik Abdul Bashir. August 29, 2008 – Dragon Con Wrestling: Consequences Creed defeated Johnny Devine in Atlanta, Georgia. September 4, 2008 – TNA IMPACT: Sheik Abdul Bashir defeated Consequences Creed in a TNA X-Division #1 Contenders match. September 14, 2008 – TNA No Surrender: Sheik Abdul Bashir defeated Petey Williams and Creed to capture the TNA X-Division title! September 14, 2008 – Alternative Pro Wrestling: Chris King and Consequences Creed defeated Seth Delay and The Royston Brawler. October 9, 2008 – TNA IMPACT: Consequences Creed defeated Petey Williams and Jay Lethal and Sonjay Dutt in a 4-WAY. October 12, 2008 – TNA Bound For Glory: Sheik Abdul Bashir defeated Consequences Cree to retain the TNA X-Division title. October 16, 2008 – TNA IMPACT: Kevin Nash defeated Consequences Creed with a Cobra Clutch and a Jacknife Powerbomb! October 18, 2008 – Peachstate Wrestling Alliance: Consequences Creed defeated Jimmy Rave in Bremen, Georgia. ~~~Consequences Creed-Jay Lethal-Sonjay Dutt-Homicide-Petey Williams-Jimmy Rave-Doug Williams-Volador-Hiroshi Tanahashi. November 20, 2008 – TNA IMPACT: Jay Lethal and Consequences Creed defeated Hiroshi Tanahashi and Sonjay Dutt w/So-Cal Val. December 7, 2008 – TNA Final Resolution: Consequences Creed participated in the Feast or Fired match but did not get a briefcase. December 18, 2008 – TNA IMPACT: Kiyoshi (Akira Raijin) defeated Consequences Creed in an X-Division Title Tournament Match. January 8, 2009 – TNA IMPACT: Jay Lethal and Consequences Creed defeated Beer Money Inc. to win the TNA Tag Team titles!!! ~~~Robert Roode and James Storm w/Jackie Moore beat Consequences Creed and Jay Lethal (champs) and Matt Morgan and Abyss. January 15, 2009 – TNA IMPACT: Lethal Consequences (Jay Lethal and Consequences Creed) defeated Matt Morgan and Abyss. February 8, 2009 – TNA Against All Odds: Beer Money defeated Jay Lethal and Consequences Creed to retain the Tag Team titles. ~~~Jackie Moore passed a chain into James Storm and he used to knock out Jay Lethal! Roode pinned Lethal to win the match. February 12, 2009 – TNA IMPACT: Lethal Consequences defeated The Motor City Machine Guns (Alex Shelley and Chris Sabin). ~~~After the match; the Guns offered a handshake and it was accepted – but then turned and kicked them straight in the crotch! February 19, 2009 – TNA IMPACT: The Motor City Machine Guns defeated Lethal Consequences in a Tag Team Street Fight. February 26, 2009 – TNA IMPACT: Alex Shelley beat Chris Sabin and Jay Lethal and Consequences Creed in a 4-WAY Ladder match. ~~~After the match; SUICIDE flew in on a zip-line, picked up the X-Division title and dropped it on Shelley, and then disappeared. March 12, 2009 – TNA IMPACT: Jay Lethal and Creed and Homicide and Hernandez beat Booker T and Scott Steiner and Shelley and Sabin. March 15, 2009 – TNA Destination X: SUICIDE (Christopher Daniels) won an Ultimate X match to win the TNA X-Division title! ~~~SUICIDE defeated Alex Shelley (c) and Chris Sabin and Jay Lethal and Consequences Creed to WIN the TNA X-Division title. April 2, 2009 – TNA IMPACT: The Sheik and Kiyoshi and NO LIMIT defeated Jay Lethal and Creed and Homicide and Hernandez. April 19, 2009 – TNA Lockdown: SUICIDE (Christopher Daniels) won the annual X-Scape match to retain the TNA X-Division title. ~~~SUICIDE defeated Jay Lethal and Consequences Creed and Sheik Abdul Bashir and Kiyoshi to retain the TNA X-Division title. April 23, 2009 – IMPACT: Beer Money Inc. defeated Lethal Consequences in the Team 3-D Invitational Tournament. May 7, 2009 – IMPACT: TNA X-Division champion SUICIDE defeated Consequences Creed w/Jay Lethal in a Non-title match. ~~~Jay Lethal and Consequences Creed accused Christopher Daniels of being SUICIDE and demanded that he confess immediately. May 14, 2009 – IMPACT: Christopher Daniels defeated Chris Sabin w/Alex Shelley with Lethal Consequences watching from stage. ~~~Later That Night: Shelley and Sabin and Lethal and Creed tried to unmasked SUICIDE but Christopher Daniels came to his rescue! May 21, 2009 – TNA IMPACT: SUICIDE and Daniels beat The Motor City Machine Guns and Lethal Consequences in a 3-WAY. June 4, 2009 – TNA IMPACT: Beer Money Inc. (Robert Roode and James Storm) defeated Consequences Creed and Chris Sabin. ~~~Before the match; The Motor City Machine Guns and Lethal Consequences talked about their goal of unmasking SUICIDE. June 11, 2009 – TNA IMPACT: Alex Shelley (w/Chris Sabin) and Jay Lethal (w/Consequences Creed) defeated Team 3-D.
June 18, 2009 – TNA IMPACT: Beer Money Inc. and Team 3-D defeated Lethal Consequences and The Motor City Machine Guns. June 21, 2009 – TNA Slammiversary: SUICIDE won a King of the Mountain Match to retain the TNA X-Division championship. ~~~SUICIDE defeated Jay Lethal and Consequences Creed and Alex Shelley and Chris Sabin to retain the TNA X-Division title. August 6, 2009 – TNA IMPACT: Lethal Consequences tried but failed to cash in on the $50,000 Bounty on the head of Abyss. August 16, 2009 – TNA Hard Justice: Christopher Daniels won a Steel Asylum match to earn a shot at the TNA X-Division title. ~~~Daniels beat SUICIDE and Jay Lethal and Consequences Creed and Chris Sabin and Alex Shelley and Amazing Red and D’Angelo Dinero. August 20, 2009 – TNA IMPACT: Pope D’Angelo Dinero defeated Consequences Creed – (Jay Lethal was banned from ringside). October 1, 2009 – TNA IMPACT: Amazing Red defeated Lethal and Creed and Sheik and Kiyoshi in a 5-WAY Ladder match. October 18 , 2009 – TNA Bound For Glory: The Motor City Machine Guns defeated Lethal Consequences in a dark match. October 22, 2009 – TNA IMPACT: The Motor City Machine Guns defeated Lethal Consequences in an Ultimate-X match. December 20, 2009 – TNA Final Resolution: Consequences Creed participated in the 4th Annual Feast or Fired match. January 4, 2010 – TNA IMPACT: A special Steel Asylum match ended in a No Contest when Homicide hit everyone with a weapon! ~~~Alex Shelley vs. Chris Sabin vs. Homicide vs. Kiyoshi vs. Jay Lethal vs. Consequences Creed vs. 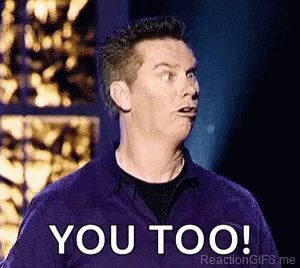 SUICIDE vs. Amazing Red. January 14, 2010 – TNA IMPACT: Team 3-D defeated Lethal Consequences after Bobby Lashley at tacked Lethal and Creed. March 29, 2010: Austin “Consequences” Creed was released from his Total Nonstop Action contract. July 10, 2010 – ECWA Super 8 Tournament: Austin “Consequences” Creed defeated Brian Milonas in a 1st Round match. ~~~Consequences Creed defeated Nick Dinsmore (2nd Round) | Consequences Creed beat Tommaso Ciampa (Finals). July 22, 2010: Austin Watson with a developmental contract with World Wrestling Entertainment and assigned to FCW. August 5, 2010 – FCW: Xavier Woods defeated Jacob Novak. August 18, 2010 – FCW: Xavier Woods defeated Shad Gaspard. August 22, 2010 – FCW: Jacob Novak and The Dudebusters (Caylen Croft and Trent Baretta) defeated Xavier Woods and Los Aviadores (Hunico and Epico). August 26, 2010 – FCW: Xavier Woods defeated Idol Stevens. September 9, 2010 – FCW: Bobby Dutch and Xavier Woods defeated Rhys Ali and Devin Allen. September 15, 2010 – FCW: Xavier Woods and Bobby Dutch defeated Jacob Novak and Jinder Mahal. September 21, 2010 – FCW: Wes Brisco and Xavier Woods defeated Damien Sandow and Calvin Raines. September 23, 2010 – FCW: Jacob Novak defeated Xavier Woods. September 26, 2010 – FCW: Eli Cottonwood and Jackson Andrews defeated Xavier Woods and Bobby Dutch. October 28, 2010 – FCW: Jacob Novak and Jinder Mahal defeated Xavier Woods and Wes Brisco Byron Saxton. November 4, 2010 – FCW: Xavier Woods and Wes Brisco defeated Johnny Curtis and Derrick Bateman to win the FCW Tag Team titles. November 11, 2010 – FCW: Wes Brisco and Xavier Woods defeated The Dudebsuters (Trent Baretta and Caylen Croft) to retain their titles. November 20, 2010 – FCW: Wes Brisco and Xavier Woods defeated Jinder Mahal and Jacob Novak to retain the FCW Tag Team titles. December 2, 2010 – FCW: Titus O’Neill and Byron Saxton and Damien Sandow defeated Marcus Owens and Xavier Woods and Bo Rotundo. December 3, 2010: Due to an injury suffered by Wes Brisco, he and Xavier Woods were stripped of the FCW Tag Team titles. December 9, 2010 – FCW: Titus O’Neil and Damien Sandow defeated Xavier Woods and Marcus Owens. December 17, 2010 – FCW: Damian Sandow and Titus O’Neill defeated Hunico and Xavier Woods to retain the FCW Tag Team titles. December 30, 2010 – FCW: Xavier Woods defeated Trent Barreta. Janaury 2, 2011 – FCW FCW Tag Team Champions Damien Sandow and Titus O’Neill defeated Marcus Owens and Xavier Woods to retain. January 6, 2011 – FCW: Xavier Woods defeated Bobby Dutch. January 16, 2011 – FCW: Calvin Raines defeats Bo Rotundo and Brad Maddox and Damien Sandow and Hunico and Jinder Mahal and Kenny Li and Lucky Cannon and Marcus Owens and Percy Watson and Peter Orlov and Richie Steamboat and Roman Leakee and Seth Rollins and Titus O’Neill and Xavier Woods in the Grande Royal. January 30, 2011 – FCW: Xavier Woods defeats Jacob Novak. February 6, 2011 – FCW: Damien Sandow (w/ Titus O’Neill) defeats Xavier Woods. February 13, 2011 – FCW: Marcus Owens and Xavier Woods defeated FCW Tag Team Champions Damien Sandow and Titus O’Neill in a non-title match. March 7, 2011 – NXT: Xavier Woods defeated Hunico in a dark match. March 27, 2011 – FCW: Brett DiBiase (w/ Aksana) defeats Xavier Woods. May 8, 2011 – FCW: Husky Harris defeats Xavier Woods. June 5, 2011 – FCW: Xavier Woods defeats Michael Tarver. June 26, 2011 – FCW: Xavier Woods defeats Calvin Raines (w/ Big E. Langston). May 23, 2012 – NXT: Xavier Woods defeated Dean Ambrose in a dark match. June 10, 2012 – NXT: Mike Dalton and Xavier Woods defeated Corey Graves and Jake Carter in a non-title match. July 3, 2011 – FCW: Brad Maddox defeats Xavier Woods. July 24, 2011 – FCW: Leo Kruger defeats Xavier Woods. November 27, 2011 – FCW: Xavier Woods defeats Rick Victor. December 18, 2011 – FCW: Xavier Woods defeats Colin Cassady. January 15, 2012 – FCW: Antonio Cesaro defeats Xavier Woods. January 22, 2012 – FCW: Mike Dalton defeats Big E. Langston and Brad Maddox and Briley Pierce and Damien Sandow and Dean Ambrose and Epico and Hunico and Husky Harris and Kenneth Cameron and Leakee and Richie Steamboat and Rick Victor and Xavier Woods in the Grande Royal. January 29, 2012 – FCW: Leo Kruger and Rick Victor defeated Mike Dalton and Xavier Woods. March 18, 2012 – FCW: Kassius Ohno defeats Xavier Woods. April 15, 2012 – FCW: CJ Parker, Jason Jordan and Xavier Woods defeated Brad Maddox, Corey Graves and Jake Carter (w/ Abraham Washington). June 10, 2012 – FCW: Mike Dalton and Xavier Woods defeated Corey Graves and Jake Carter. July 13, 2012 – NXT: Xavier Woods defeated Corey Graves in a dark match. September 14, 2012 – NXT Live Event: The Bombers (Chad Baxter and Chase Donovan) defeated Xavier Woods and Mike Dalton. November 1, 2012 – NXT: Leo Kruger defeated Xavier Woods. November 29, 2012 – NXT: Xavier Woods defeated Memo Montenegro. January 9, 2013 – NXT Live Event: Corey Graves defeated Xavier Woods. January 26, 2013 – Royal Rumble Fan Fest Tournament: Leo Kruger defeated Xavier Woods in the Quarter Finals. February 7, 2013 – NXT: Xavier Woods defeated El Local (Ricardo Rodriguez). February 21, 2013 – NXT: Xavier Woods defeated El Local. March 15, 2013 – NXT Live Event: Xavier Woods defeated Conor O’Brian, Leo Kruger and Axl Keegan in a 4-way elimination. April 4, 2013 – Wrestlemania Fan Axxess: Xavier Woods defeated Dante Dash. April 6, 2013 – Wrestlemania Fan Axxess: United States Champion Antonio Cesaro defeated Xavier Woods in a non-title match. April 25, 2013 – NXT Live Event: Aiden English defeated Xavier Woods. May 25, 2013 – NXT Live Event: Alexander Rusev defeated Jake Carter, Sami Zayn and Xavier Woods in a Battle Royal. June 20, 2013 – NXT: Xavier Woods defeated Jake Carter. June 28, 2013 – NXT Live Event: Xavier Woods defeated Scott Dawson. July 4, 2013 – NXT: Scott Dawson (w/Sylvester Lefort) defeated Xavier Woods. July 18, 2013 – NXT Live Event: Xavier Woods defeated Scott Dawson. July 19, 2013 – NXT Live Event: Xavier Woods defeated Scott Dawson. August 9, 2013 – NXT Live Event: CJ Parker and Xavier Woods defeated Cal Bishop and Sawyer Fulton. August 24, 2013 – NXT Live Event: Xavier Woods defeated Leo Kruger. September 7, 2013 – NXT Live Event: Leo Kruger defeated Colin Cassady, Tyler Breeze and Xavier Woods in a 4-way match. September 12, 2013 – NXT: Xavier Woods defeated Leo Kruger. September 19, 2013 – NXT: Xavier Woods, CJ Parker, Adrian Neville and Corey Graves defeated Tyler Breeze, Leo Kruger, Connor O’Brian and Rick Victor. September 8, 2013 – WWE Live Event: Ryback defeated Xavier Woods. November 6, 2013 – Main Event: Xavier Woods defeated El Local in a dark match. November 18, 2013 – RAW: R-Truth and Xavier Woods defeated Drew McIntyre and Jinder Mahal. November 25, 2013 – RAW: Xavier Woods defeated Heath Slater. November 29, 2013 – SmackDown: Brodus Clay and Tensai defeated Xavier Woods and R-Truth. December 2, 2013 – RAW: Xavier Woods and R-Truth defeated Brodus Clay and Tensai. December 8, 2013 – Live Event: Xavier Woods defeated Hunico. December 9, 2013 – RAW: Brodus Clay defeated Xavier Woods. December 11, 2013 – Main Event: Xavier Woods and R-Truth defeated Brodus Clay and Tensai w Naomi and Cameron. December 18, 2013 – Main Event: Xavier Woods and R-Truth defeated Jinder Mahal and Drew McIntyre. December 19, 2013 – Superstars: Xavier Woods and R-Truth defeated Jinder Mahal and Drew McIntyre. January 3, 2014 – NXT Live Event: Xavier Woods defeated Tyler Breeze. January 9, 2014 – NXT: Alexander Rusev w/ Lana defeated Xavier Woods. January 10, 2014 – SmackDown: Xavier Woods defeated Fandango. January 16, 2014 – Superstars: Xavier Woods w/ R-Truth defeated Brodus Clay. January 17-19, 2014 – Live Event: Xavier Woods defeated Brodus Clay. January 20, 2014 – RAW: Fandango defeated Xavier Woods. January 22, 2014 – Main Event: R-Truth defeated Damien Sandow. January 23, 2014 – NXT: Alexander Rusev w/ Lana defeated Xavier Woods. January 31, 2014 – SmackDown: Fandango defeated Xavier Woods. February 3, 2014 – RAW: The Wyatt Family defeated Dolph Ziggler, Xavier Woods, and R-Truth in a 6-man tag team match. February 7, 2014 – WWE Live Event: Mark Henry and Xavier Woods defeated Antonio Cesaro and Jack Swagger. February 8, 2014 – WWE Live Event: Mark Henry, Xavier Woods and Rey Mysterio defeated Alberto Del Rio, Jack Swagger and Antonio Cesaro. February 27, 2014 – NXT: Xavier Woods vs. Tyler Breeze ended in a no contest. March 2, 2014 – Live Event: Xavier Woods defeated Jinder Mahal. March 13, 2014 – NXT: Alexander Rusev w/Lana defeated Xavier Woods. March 21, 2014 – Superstars: R-Truth and Xavier Woods defeated Drew McIntyre and Jinder Mahal. March 27, 2014 – NXT: Tyler Breeze defeated Xavier Woods. March 28, 2014 – Superstars: R-Truth and Xavier Woods defeated Drew McIntyre and Jinder Mahal w/ Heath Slater. March 28, 2014 – Live Event: Cesaro and Jack Swagger defeated Xavier Woods and R-Truth. March 29, 2014 – Live Event: Cody Rhodes and Goldust defeated Xavier Woods and R-Truth and Cesaro and Jack Swagger in a 3-way tag team elimination match. March 30, 2014 – Live Event: Cesaro and Jack Swagger defeated Xavier Woods and R-Truth. April 3, 2014 – NXT: Brodus Clay defeated Xavier Woods. April 14, 2014 – RAW: Alexander Rusev defeated Xavier Woods. April 26-27, 2014 – Live Event: Xavier Woods and Naomi defeated Fandango and Layla. April 28, 2014 – RAW: Alexander Rusev defeated Xavier Woods by disqualification when R-Truth interfered. May 4, 2014 – Extreme Rules: Alexander Rusev defeated R-Truth and Xavier Woods in a handicap match. May 5, 2014 – RAW: Sheamus won the 20-man WWE United States championship battle royal. ~~~The participants included: WWE United States champion Dean Ambrose, Xavier Woods, Zack Ryder, Big Show, Dolph Ziggler, Sin Cara, Cody Rhodes, Sheamus, Goldust, R-Truth, Fandango, Mark Henry, Titus O’Neil, Damien Sandow, Santino Marella, Kofi Kingston, Ryback, Curtis Axel, Heath Slater, and Jack Swagger. May 6, 2014 – Main Event: Xavier Woods defeated Damien Sandow in a dark match. May 8, 2014 – NXT: Xavier Woods was in the #1 contenders battle royal for the NXT title won by Tyler Breeze, Tyson Kidd and Sami Zayn. May 21-24, 2014 – Live Event: Xavier Woods and R-Truth defeated Drew McIntyre and Jinder Mahal. May 27, 2014 – Main Event: Curtis Axel w/Ryback defeated Cody Rhodes w/Goldust. May 29, 2014 – Superstars: Ryback and Curtis Axel defeated Xavier Woods and R-Truth. May 30, 2014 – SmackDown: Bo Dallas defeated Xavier Woods. June 6, 2014 – SmackDown: Rusev defeated Xavier Woods. 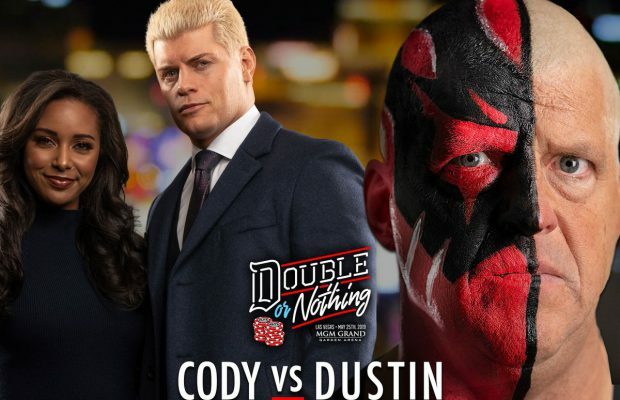 June 8, 2014 – Live Event: Cody Rhodes and Goldust defeated Ryback and Curtis Axel. June 9, 2014 – RAW: Bo Dallas defeated Xavier Woods. June 14, 2014 – Live Event: Rusev w/Lana defeated Xavier Woods. June 15, 2014 – Live Event: Bo Dallas defeated Xavier Woods. June 21-22, 2014 – Live Event: NXT tag team champions The Ascension defeated R-Truth and Xavier Woods to retain the titles. June 24, 2014 – Main Event: Curtis Axel and Ryback defeated R-Truth and Xavier Woods. June 26, 2014 – Superstars: Ryback and Curtis Axel defeated R-Truth and Xavier Woods. June 26, 2014 – NXT: Bull Dempsey defeated Xavier Woods. July 1, 2014 – Main Event: Luke Harper and Erick Rowan defeated Xavier Woods and R-Truth. July 5, 2014 – Live Event: Bo Dallas defeated Xavier Woods. July 6, 2014 – Live Event: Adam Rose defeated Xavier Woods. August 7, 2014 – NXT: CJ Parker defeated Xavier Woods. August 15, 2014 – Smackdown! : Adam Rose defeated Xavier Woods in a dark match. September 19, 2014 – Live Event: The Usos defeated Xavier Woods and Kofi Kingston and Stardust and Goldust in a 3-way tag team match. September 30, 2014 – Main Event: Sami Zayn defeated Xavier Woods in a dark match. October 4, 2014 – Live Event: Xavier Woods and Kofi Kingston defeated Los Matadores. October 10, 2014 – Smackdown! : Tyler Breeze defeated Xavier Woods in a dark match. October 19, 2014 – Live Event: Xavier Woods and Kofi Kingston defeated Erick Rowan and Luke Harper. November 3, 2014 – RAW: Xavier Woods promo aired saying A New Day is coming. November 5-9, 2014 – Live Event: Mark Henry defeated Xavier Woods. November 11, 2014 – Live Event: Kofi Kingston and Xavier Woods defeated Luke Harper and Erick Rowan. November 14, 2014 – Live Event: Kofi Kingston and Xavier Woods defeated The Miz and Damien MizDow. November 28, 2014 – SmackDown: A New Day (Kofi Kingston, Xavier Woods, and Big E) defeated Curtis Axel, Heath Slater, and Titus O’Neil. December 15, 2014 – RAW: A New Day (Xavier Woods and Big E) defeated Goldust and Stardust. December 16, 2014 – Main Event: Kofi Kingston and Xavier Woods w/ Big E defeated Cesaro and Tyson Kidd. December 26, 2014 – Live Event: Kofi Kingston and Xavier Woods defeated Tyson Kidd and Cesaro and Goldust and Stardust in a 3-way tag team match. December 27, 2014 – Live Event: Big E and Kofi Kingston defeated Goldust and Stardust and Cesaro and Tyson Kidd in a 3-way tag match. December 30, 2014 – Main Event: Big E, Kofi Kingston and Xavier Woods defeated The Miz, Damien Mizdow and Bad News Barrett. January 4, 2015 – Live Event: Big E, Kofi Kingston, and Xavier Woods defeated Curtis Axel, Goldust and Stardust. January 13, 2015 – Main Event: Big E, Kofi Kingston and Xavier Woods defeated Cesaro, Tyson Kidd and Adam Rose w Natalya. January 17-18, 2015 – Live Event: Big E and Kofi Kingston defeated Goldust and Stardust. January 20, 2015 – Main Event: Kofi Kingston defeated Tyson Kidd. January 29, 2015 – Main Event: Big E and Kofi Kingston defeated Damien Mizdow and The Miz. January 30-31, 2015 – Live Event: Big E and Kofi Kingston defeated Goldust and Stardust. February 3, 2015 – Main Event: Cesaro and Tyson Kidd defeated Big E and Kofi Kingston. February 9, 2015 – RAW: Big E and Kofi Kingston defeated Goldust and Stardust. February 12, 2015 – Live Event: Big E and Kofi Kingston defeated Stardust and Goldust. February 13, 2015 – Live Event: Big E and Xavier Woods defeated Goldust and Stardust. February 14, 2015 – Live Event: Kofi Kingston and Xavier Woods defeated Goldust and Stardust. February 16, 2015 – RAW: Xavier Woods and Kofi Kingston defeated Goldust and Stardust. February 19, 2015 – SmackDown: The Ascension defeated the New Day. April 4, 2015 – Main Event: The Prime Time Players defeated Xavier Woods and Big E w Kofi Kingston in a dark match. April 9, 2015 – SmackDown: WWE tag team champions Cesaro and Tyson Kidd defeated The New Day (Kofi Kingston and Big E w/ Xavier Woods) in a non-title match. Finn Balor defeated Xavier Woods in a dark match. April 9-12, 2015 – Live Event: R-Truth defeated Xavier Woods. April 16, 2015 – SmackDown: The New Day (Kofi Kingston and Big E w/ Xavier Woods) defeated Los Matadores. April 18, 2015 – Main Event: Jimmy Uso defeated Xavier Woods. May 22-23, 2015 – Live Event: WWE tag team champions Big E and Xavier Woods w Kofi Kingston defeated Cesaro and Tyson Kidd to retain the titles. June 1, 2015 – RAW: The Prime Time Players and Dolph Ziggler defeated the WWE tag team champions the New Day in a 6-man tag team match. June 12, 2015 – Main Event: Titus O’Neil defeated Xavier Woods in a dark match. June 14, 2015 – Money in the Bank: The Prime Time Players defeated the WWE tag team champions the New Day (Xavier Woods and Big E) to win the titles. June 18, 2015 – SmackDown: Neville defeated Xavier Woods w/ The New Day. June 20-21, 2015 – Live Event: WWE tag team champions The Prime Time Players defeated Big E and Xavier Woods w Kofi Kingston to retain the titles. July 4, 2015 – WWE Live from Tokyo: The Beat in the East: The Lucha Dragons defeated Big E and Xavier Woods in a dark match. July 11-12, 2015 – Live Event: WWE tag team champions The Prime Time Players defeated Big E and Xavier Woods w Kofi Kingston to retain the titles. July 13, 2015 – RAW: Mark Henry and the WWE tag team champions the Prime Time Players defeated the New Day in a 6-man tag team match. July 24-26, 2015 – Live Event: WWE tag team champions The Prime Time Players defeated Big E and Xavier Woods w/ Kofi Kingston to retain the titles. August 2, 2015 – Live Event: WWE tag team champions The Prime Time Players defeated Kofi Kingston and Xavier Woods w/ Big E to retain. August 6, 2015 – SmackDown: Mark Henry and the WWE tag team champions the Prime Time Players defeated the New Day in a 6-man tag team match. August 13, 2015 – SmackDown: WWE tag team champions the Prime Time Players defeated the New Day in a non-title match. August 15, 2015 – Live Event: WWE tag team champions The Prime Time Players defeated Kofi Kingston and Xavier Woods w/ Big E to retain the titles. August 20, 2015 – SmackDown: The New Day defeated Los Matadores in a 6-man tag team match. September 11-13, 2015 – Live Event: WWE tag team champions Big E and Xavier Woods defeated The Prime Time Players to retain the titles. September 14, 2015 – RAW: WWE tag team champions the New Day defeated the Prime Time Players to retain the titles. September 20, 2015 – Night of Champions: The Dudley Boyz defeated WWE tag team champions the New Day by disqualification. New Day retains the titles. September 21, 2015 – RAW: WWE tag team champions the New Day and Rusev defeated Dolph Ziggler and the Dudley Boyz in a 6-man tag team match. September 28, 2015 – RAW: WWE United States champion John Cena defeated Xavier Woods by disqualification. Cena retains the title. September 28, 2015 – RAW: WWE tag team champions the New Day defeated WWE United States champion John Cena and the Dudley Boyz in a 6-man tag team match. October 1, 2015 – SmackDown: Demon Kane and the Dudley Boyz defeated WWE world heavyweight champion Seth Rollins and WWE tag team champions the New Day in a 6-man tag team match. October 2, 2015 – Live Event: WWE tag team champions Big E and Xavier Woods defeated The Dudley Boyz to retain the titles. October 3, 2015 – WWE Live from MSG: Lesnar vs Big Show: WWE tag team champions Big E and Kofi Kingston w/ Xavier Woods defeated The Dudley Boyz by disqualification to retain the titles. October 15, 2015 – SmackDown: The Dudley Boyz and Dean Ambrose defeated WWE tag team champions the New Day in a 6-man tag team match. October 19, 2015 – RAW: WWE tag team champions the New Day defeated WWE United States champion John Cena and the Dudley Boyz in a 6-man tag team match. October 25, 2015 – Hell in a Cell: WWE tag team champions the New Day defeated the Dudley Boyz to retain the titles. November 16, 2015 – RAW: WWE tag team champions the New Day defeated Ryback and the Usos in a 6-man tag team match. December 3, 2015 – SmackDown: WWE tag team champions the New Day defeated Dean Ambrose and the Usos in a 6-man tag team match. December 5, 2015 – Live Event: WWE tag team champions Big E and Xavier Woods defeated The Dudley Boyz and The Lucha Dragons in a 3-way tag team match to retain the titles. December 21, 2015 – RAW: The Usos defeated the WWE tag team champions the New Day in a “3-on-2” handicap tag team match. December 26-27, 2015 – Live Event: WWE tag team champions Big E and Kofi Kingston defeated The Lucha Dragons and The Usos in a 3-way tag team match to retain the titles. January 11, 2016 – RAW: The Usos defeated WWE tag team champions the New Day in a non-title match. January 21, 2016 – SmackDown: Dolph Ziggler and the Usos defeated WWE tag team champions the New Day in a 6-man tag team match. January 28, 2016 – SmackDown: The Usos, Dolph Ziggler, and Titus O’Neil defeated WWE tag team champions the New Day and the Miz in an 8-man tag team match. January 30-31, 2016 – Live Event: Ryback and The Usos defeated The New Day. February 4, 2016 – SmackDown: WWE tag team champions the New Day defeated Adam Rose, Heath Slater, and Curtis Axel in a 6-man tag team match. February 6-7, 2016 – Live Event: Ryback and the Usos defeated The New Day. February 8, 2016 – RAW: The Usos and the Dudley Boyz defeated Mark Henry and the WWE tag team champions the New Day in an 8-man tag team match. February 10-13, 2016 – Live Event: The Big Show and The Usos defeated The New Day. February 19, 2016 – Main Event: The New Day (Big E, Kofi Kingston & Xavier Woods) defeated The Social Outcasts (Adam Rose, Curtis Axel & Heath Slater). April 3, 2016 – WrestleMania 32: Sheamus, Rusev, Alberto Del Rio, and King Barrett defeated WWE tag team champions the New Day in a “4-on-3” handicap match. April 9, 2016 – Main Event: The New Day (Big E and Kofi Kingston) defeated The Ascension (Konnor and Viktor) in a non-title match. May 9, 2016 – RAW: The Dudley Boyz (Bubba Ray Dudley and D-Von Dudley) defeated The New Day (Big E and Kofi Kingston) w Xavier Woods in a non-title match. May 23, 2016 – RAW: The New Day (Big E, Kofi Kingston and Xavier Woods) defeated The Social Outcasts (Bo Dallas, Curtis Axel and Heath Slater). May 28, 2016 – Main Event: The New Day (Big E, Kofi Kingston and Xavier Woods) defeated The Social Outcasts (Bo Dallas, Curtis Axel and Heath Slater). June 2, 2016 – Smackdown: AJ Styles (w/Karl Anderson & Luke Gallows) defeated Kofi Kingston (w/Big E & Xavier Woods). July 15-17, 2016 – Live Event: The New Day (Big E, Kofi Kingston and Xavier Woods) defeated The Wyatt Family (Braun Strowman, Bray Wyatt and Erick Rowan). July 18, 2016 – RAW: The Club (AJ Styles, Karl Anderson & Luke Gallows) & The Wyatt Family (Braun Strowman, Bray Wyatt and Erick Rowan) defeated Big Cass, Enzo Amore, John Cena & The New Day (Big E, Kofi Kingston and Xavier Woods). July 19, 2016 – Smackdown Live: The New Day were drafted as a group by Stephanie McMahon & Mick Foley to join Monday Night Raw. July 20, 2016: The New Day are officially the longest-reigning WWE Tag Team Champions of all time! Big E, Kofi Kingston, and Xavier Woods have officially surpassed Brian Kendrick and Paul London’s reign of 331 days on July 20. July 29-31, 2016 – Live Event: The New Day (Big E, Kofi Kingston and Xavier Woods) defeated The Wyatt Family (Braun Strowman, Bray Wyatt and Erick Rowan). August 6-7, 2016 – Live Event: WWE tag team champions Kofi Kingston and Xavier Woods defeated Luke Gallows and Karl Anderson to retain the titles. August 8, 2016 – RAW: Luke Gallows w Karl Anderson defeated Kofi Kingston w Xavier Woods. August 10-13, 2016 – Live Event: WWE tag team champions The New Day (Kofi Kingston and Xavier Woods) defeated The Club (Luke Gallows and Karl Anderson) to retain the tag team titles. August 15, 2016 – RAW: WWE tag team champions The New Day (Kofi Kingston and Xavier Woods) defeated The Dudley Boyz in a non-title match. August 21, 2016 – SummerSlam: The Club (Karl Anderson and Luke Gallows) defeated WWE tag team champions The New Day (Kofi Kingston and Xavier Woods) by disqualification. The New Day retains. August 22, 2016 – RAW: Big E w The New Day defeated Karl Anderson w Luke Gallows. August 27, 2016 – Live Event: Big E and Xavier Woods defeated Luke Gallows and Karl Anderson to retain the tag titles. August 29, 2016 – RAW: Bayley, Big E and Kofi Kingston w Xavier Woods defeated Luke Gallows, Karl Anderson and Dana Brooke. September 12, 2016 – RAW: Luke Gallows and Karl Anderson defeated Kofi Kingston and Xavier Woods w Big E in a non-title match. September 19, 2016 – RAW: Big E, Kofi Kingston, Big Cass, Enzo Amore and Sami Zayn defeated Chris Jericho, Epico, Primo, Karl Anderson and Luke Gallows. September 25, 2016 – Clash of the Champions: Big E and Kofi Kingston w Xavier Woods defeated Karl Anderson and Luke Gallows to retain the tag team titles. September 26, 2016 – RAW: Big E and Kofi Kingston w Xavier Woods defeated Karl Anderson and Luke Gallows to retain the tag team titles. October 6, 2016 – Live Event: The New Day (Kofi Kingston and Xavier Woods) defeated Big Cass and Enzo Amore & The Club (Karl Anderson and Luke Gallows) in a 3-way tag team match to retain the tag team titles. October 15-16, 2016 – Live Event: The New Day (Big E and Kofi Kingston) defeated Big Cass and Enzo Amore, Cesaro and Sheamus & The Club (Karl Anderson and Luke Gallows) in a 4-way tag team match to retain the tag titles. October 22-23, 2016 – Live Event: Big E and Kofi Kingston defeated Karl Anderson and Luke Gallows to retain the RAW tag team titles. November 2, 4-6, 2016 – Live Event: Big E and Kofi Kingston defeated Cesaro and Sheamus, Luke Gallows and Karl Anderson & Big Cass and Enzo Amore in a 4-way tag team match to retain the tag titles. November 3, 2016 – Live Event: Big E and Kofi Kingston defeated Goldust and R-Truth, Luke Gallows and Karl Anderson & Big Cass and Enzo Amore in a 4-way tag team match to retain the tag titles. November 7, 2016 – RAW: Luke Gallows and Karl Anderson defeated WWE tag team champions The New Day (Big E and Kofi Kingston) w Xavier Woods in a non-title match. November 11-12, 2016 – Live Event: Big E and Kofi Kingston w Xavier Woods defeated Cesaro and Sheamus to retain the tag team titles. November 20, 2016 – Survivor Series: Team RAW (Big Cass, Cesaro, Enzo Amore, Sheamus, The Club (Karl Anderson & Luke Gallows), The New Day (Big E & Kofi Kingston) & The Shining Stars (Epico and Primo)) w Xavier Woods defeated Team SmackDown LIVE (Breezango (Fandango & Tyler Breeze), Heath Slater, Rhyno, The Hype Bros (Mojo Rawley & Zack Ryder), American Alpha (Chad Gable & Jason Jordan), The Usos (Jey Uso and Jimmy Uso)) in a tag team elimination match. November 21, 2016 – RAW: Big E and Kofi Kingston w Xavier Woods defeated Cesaro and Sheamus to retain the WWE tag team titles. November 28, 2016 – RAW: Big E and Xavier Woods w Kofi Kingston defeated Luke Gallows and Karl Anderson to retain the RAW tag team titles. December 12, 2016 – RAW: The New Day (Big E and Kofi Kingston) defeated Cesaro and Sheamus & The Club (Karl Anderson and Luke Gallows) in a 3-way tag team match to retain the tag team titles. WWE tag team champions Big E and Xavier Woods defeated Seth Rollins and Roman Reigns & Chris Jericho and Kevin Owens in a 3-way tag team match to retain the tag team titles. January 2, 2017 – RAW: Xavier Woods w The New Day defeated Titus O’Neil. January 9, 2017 – RAW: Kofi Kingston w The New Day defeated Titus O’Neil. January 16, 2017 – RAW: Big E w The New Day defeated Titus O’Neil. January 23, 2017 – RAW: Braun Strowman, Jinder Mahal, Rusev and Titus O’Neil defeated Big Cass, Enzo Amore & The New Day (Big E and Kofi Kingston). January 29, 2017 – Royal Rumble: Xavier Woods was in the Royal Rumble match won by Randy Orton. February 2, 2017 – Main Event: The New Day (Big E, Kofi Kingston and Xavier Woods) defeated The Shining Stars (Epico & Primo) and Titus O’Neil. February 6, 2017 – RAW: The New Day (Big E and Xavier Woods) w Kofi Kingston defeated The Shining Stars (Epico and Primo). February 13, 2017 – RAW: Kofi Kingston w The New Day defeated Bo Dallas. February 20, 2017 – RAW: The New Day (Big E and Kofi Kingston) w Xavier defeated Rusev and Jinder Mahal w Lana..
February 27, 2017 – RAW: The New Day (Big E and Xavier Woods) w Kofi Kingston defeated Jinder Mahal and Rusev. March 6, 2017 – RAW: The New Day (Big E and Kofi Kingston) w Xavier Woods defeated The Shining Stars (Epico and Primo). April 3, 2017 – RAW: The Revival (Dash Wilder and Scott Dawson) defeated The New Day (Big E and Xavier Woods) w Kofi Kingston. June 6, 2017 – SmackDown Live: The New Day (Big E and Xavier Woods) w Kofi Kingston defeated The Colons (Epico Colon and Primo Colon). June 13, 2017 – SmackDown Live: Breezango (Fandango & Tyler Breeze) & The New Day (Kofi Kingston and Xavier Woods) w Big E defeated The Colons (Epico Colon & Primo Colon) & The Usos (Jey Uso and Jimmy Uso). June 18, 2017 – Money In The Bank: The New Day (Big E and Kofi Kingston) w Xavier Woods defeated The Usos (Jey Uso and Jimmy Uso) by count-out. The Usos retains the tag team titles. June 20, 2017 – SmackDown Live: Big E w Kofi Kingston and Xavier Woods defeated Jimmy Uso w Jey Uso. July 1-3, 8-10, 2017 – Live Event: The Usos (Jey Uso and Jimmy Uso) defeated The Hype Bros (Mojo Rawley and Zack Ryder) & The New Day (Big E and Kofi Kingston) in a 3-way tag team match to retain the tag team titles. July 11, 2017 – SmackDown Live: Jey Uso w Jimmy Uso defeated Xavier Woods w Kofi Kingston w Big E.
July 18, 2017 – SmackDown Live: Jimmy Uso w Jey Uso defeated Kofi Kingston w Big E & Xavier Woods. August 20, 2017 – SummerSlam Kickoff: The Usos (Jey Uso and Jimmy Uso) defeated The New Day (Big E and Xavier Woods) w Kofi Kingston to win the tag titles. August 29, 2017 – SmackDown Live: WWE SmackDown Live tag team champions The Usos (Jey Uso and Jimmy Uso) defeated The New Day (Big E and Kofi Kingston) w Xavier Woods in a non-title match. September 12, 2017 – SmackDown Live: The New Day (Big E and Kofi Kingston) w Xavier Woods defeated The Usos (Jey Uso and Jimmy Uso) to win the tag team titles in a street fight. September 13, 16-17, 2017 – Live Event: The New Day (Big E and Kofi Kingston) defeated Baron Corbin and Dolph Ziggler to retain the tag titles. September 19, 2017 – SmackDown Live: SmackDown Live tag team champions The New Day (Big E and Kofi Kingston) w Xavier Woods defeat The Hype Bros (Mojo Rawley and Zack Ryder) in a non-title match. October 8, 2017 – Hell In A Cell Kickoff: The Usos (Jey Uso and Jimmy Uso) defeated The New Day (Big E and Xavier Woods) w Kofi Kingston in a Hell in a Cell match to win the tag team titles. October 19, 2017 – Live Event: The Usos (Jey Uso and Jimmy Uso) defeated The New Day (Big E and Kofi Kingston) w Xavier Woods to retain the tag titles. October 20, 2017 – Live Event: AJ Styles & The New Day (Big E and Kofi Kingston) w Xavier Woods defeated Rusev & The Usos (Jey Uso and Jimmy Uso). October 21, 2017 – Live Event: AJ Styles & The New Day (Big E and Xavier Woods)w Kofi Kingston defeated Rusev & The Usos (Jey Uso and Jimmy Uso). October 22, 2017 – Live Event: Randy Orton & The New Day (Big E and Kofi Kingston) w Xavier Woods defeated Sami Zayn & The Usos (Jey Uso and Jimmy Uso). October 24, 2017 – SmackDown Live: Chad Gable and Shelton Benjamin defeated The New Day (Kofi Kingston and Xavier Woods) w Big E.
October 31, 2017 – SmackDown Live: Rusev w Aiden English defeated Big E w The New Day. November 2, 4-5, 2017 – Live Event: The Usos (Jey Uso and Jimmy Uso) defeated Aiden English and Rusev & The New Day (Big E and Kofi Kingston) in a 3-way tag team match to retain the tag titles. November 7, 2017 – SmackDown Live: Kofi Kingston w The New Day defeated Sami Zayn w Kevin Owens. November 14, 2017 – SmackDown Live: Kevin Owens and Sami Zayn vs. The New Day (Big E and Xavier Woods) w Kofi Kingston ended in a no contest. November 21, 2017 – SmackDown Live: Kevin Owens and Sami Zayn defeated The New Day (Big E and Kofi Kingston) w Xavier Woods in a lumberjack match. November 25, 2017 – WWE Starrcade: The Usos (Jey Uso and Jimmy Uso) defeated Chad Gable and Shelton Benjamin & Kevin Owens and Sami Zayn and The New Day (Big E and Xavier Woods) w Kofi Kingston in a 4-way tag team match to retain the tag titles. November 28, 2017 – SmackDown Live: The New Day (Kofi Kingston and Xavier Woods) w Big E defeated Chad Gable and Shelton Benjamin. December 1-2, 2017 – Live Event: The Usos (Jey Uso and Jimmy Uso) defeated Chad Gable and Shelton Benjamin & The New Day (Big E and Kofi Kingston) in a 3-way tag team match to retain the tag titles. December 5, 2017 – SmackDown Live: Aiden English and Rusev defeated The New Day (Big E and Kofi Kingston) w Xavier Woods. December 14, 2017 – Tribute To The Troops (Taped): The New Day (Big E & Kofi Kingston) w Xavier Woods & The Usos (Jey Uso and Jimmy Uso) defeated Aiden English, Chad Gable, Rusev and Shelton Benjamin. December 17, 2017 – Clash Of The Champions: The Usos (Jey Uso and Jimmy Uso) defeated Aiden English and Rusev & Chad Gable and Shelton Benjamin & The New Day (Big E and Kofi Kingston) w Xavier Woods in a 4-way tag team match to retain the tag team titles. December 19, 2017 – SmackDown Live: The New Day (Kofi Kingston and Xavier Woods) w Big E defeated Aiden English and Rusev. December 26, 2017 – SmackDown Live: Chad Gable and Shelton Benjamin defeated Aiden English and Rusev & The New Day (Big E and Xavier Woods) w Kofi Kingston in a 3-way tag team match to become #1 contenders for the tag titles. January 2, 2018 – SmackDown Live: Xavier Woods w The New Day defeated Aiden English w Rusev in the 1st round of the United States title tournament. January 6-7, 13, 2018 – Live Event: The Usos (Jey Uso and Jimmy Uso) defeated Aiden English and Rusev, Chad Gable and Shelton Benjamin & The New Day (Big E and Kofi Kingston) w Xavier Woods in a 4-way tag team match to retain the tag titles. January 14, 2018 – Live Event: The New Day (Big E and Xavier Woods) w Kofi Kingston defeated Chad Gable and Shelton Benjamin. January 16, 2018 – SmackDown Live: Jinder Mahal w The Singh Brothers defeated Xavier Woods w The New Day in the semi-finals of the United States title tournament. January 21, 2018 – Live Event: The New Day (Big E and Xavier Woods) w Kofi Kingston defeated Aiden English and Rusev. January 23, 2018 – SmackDown Live: Bobby Roode & The New Day (Kofi Kingston and Xavier Woods) w Big E defeated Aiden English, Jinder Mahal and Rusev. January 27, 2018 – Live Event: The Usos (Jey Uso and Jimmy Uso) defeated The New Day (Big E and Kofi Kingston) w Xavier Woods to retain the tag titles. January 28, 2018 – Royal Rumble: Big E came in the Royal Rumble match at #9, in which Shinsuke Nakamura won. January 30, 2018 – SmackDown Live: Rusev defeated Jinder Mahal, Kofi Kingston w The New Day and Zack Ryder in a 4-way match to become #1 contender for the United States title. February 13, 2018 – SmackDown Live: The New Day (Big E and Xavier Woods) w Kofi Kingston defeated Chad Gable and Shelton Benjamin. February 20, 2018 – SmackDown Live: The New Day (Big E and Xavier Woods) w Kofi Kingston defeated Chad Gable and Shelton Benjamin to become #1 contenders for the tag titles. March 3-4, 2018 – Live Event: The Usos (Jey Uso and Jimmy Uso) defeated Aiden English and Rusev, Chad Gable and Shelton Benjamin & The New Day (Big E and Kofi Kingston) in a fatal 4-way tag team match to retain the tag titles. March 6, 2018 – SmackDown Live: The New Day (Kofi Kingston and Xavier Woods) w Big E defeated Chad Gable and Shelton Benjamin in a dark match. March 11, 2018 – Fastlane: The Usos (Jey Uso and Jimmy Uso) vs. The New Day (Kofi Kingston and Xavier Woods) w Big E ended in a no contest when The Bludgeon Brothers destroyed the Usos & The New Day. The Usos retains the tag titles. March 13, 2018 – SmackDown Live: The Bludgeon Brothers (Harper and Rowan) defeated Big E and Jimmy Uso. March 27, 2018 – SmackDown Live: The Bludgeon Brothers (Harper and Rowan) defeated The New Day (Big E and Xavier Woods) w Kofi Kingston by disqualification. April 8, 2018 – WrestleMania 34: The Bludgeon Brothers (Harper and Rowan) defeated The New Day (Big E and Kofi Kingston) w Xavier Woods & The Usos (Jey Uso and Jimmy Uso) in a 3-way tag team match to win the tag team titles. April 10, 2018 – SmackDown Live: The Usos (Jey Uso and Jimmy Uso) defeated The New Day (Big E and Xavier Woods) w Kofi Kingston to become #1 contenders for the tag team titles. April 22-23, 2018 – Live Event: The Bludgeon Brothers (Harper and Rowan) defeated The New Day (Big E and Xavier Woods) & The Usos (Jey Uso and Jimmy Uso) in a 3-way tag team match to retain the tag titles. April 24, 2018 – SmackDown Live: The New Day (Kofi Kingston and Xavier Woods w Kofi Kingston) defeated The Bar (Cesaro and Sheamus) in a dark match. April 27, 2018 – Greatest Royal Rumble: Xavier Woods entered the Royal Rumble match at #14 but was won by Braun Strowman. May 1, 2018 – SmackDown Live: Xavier Woods w Big E & Kofi Kingston defeated Sheamus w Cesaro. May 8, 2018 – SmackDown Live: Cesaro w Sheamus defeated Xavier Woods w Big E & Kofi Kingston. May 15, 2018 – SmackDown Live: The New Day (Big E and Xavier Woods) defeated The Bar (Cesaro and Sheamus) to qualify for the Money In The Bank ladder match. May 22, 2018 – SmackDown Live: The Miz defeated Big E w Kofi Kingston & Xavier Woods. June 10, 2018 – Live Event: The New Day (Big E and Kofi Kingston) w Xavier Woods defeated The Bar (Cesaro and Sheamus). June 16, 2018 – Live Event: The New Day (Big E and Xavier Woods) w Kofi Kingston defeated The Bar (Cesaro and Sheamus). June 23-24, 2018 – Live Event: The New Day (Big E and Xavier Woods) w Kofi Kingston defeated The Bar (Cesaro and Sheamus). June 26, 2018 – SmackDown Live: Rusev w Aiden English defeated Xavier Woods w The New Day. June 26, 2018 – 205 Live: The New Day (Big E and Kofi Kingston) w Xavier Woods defeated Samoa Joe an The Miz in a dark match. July 10, 2018 – SmackDown Live: Team Hell No (Daniel Bryan & Kane) & The New Day(Big E, Kofi Kingston and Xavier Woods) defeated SAnitY (Alexander Wolfe, Eric Young & Killian Dain) & The Bludgeon Brothers (Harper and Rowan). The Miz tries to drive a wedge between Daniel Bryan & Kane, but his attempts are cut short by a surprise attack from The Bludgeon Brothers and SAnitY. July 21-23, 2018 – Live Event: The New Day (Big E and Kofi Kingston) w Xavier Woods defeated The Bar (Cesaro and Sheamus). July 28, 30, 2018 – Live Event: The New Day (Big E and Kofi Kingston) w Xavier Woods defeated Samoa Joe an The Miz in a dark match. July 29, 2018 – Live Event: The New Day (Big E and Xavier Woods) w Kofi Kingston defeated The Bar (Cesaro and Sheamus). August 7, 2018 – SmackDown Live: The New Day (Big E and Kofi Kingston) w Xavier Woods defeated The Bar (Cesaro and Sheamus) to win the tournament and becoming #1 contenders for the tag team titles. August 11-13, 2018 – Live Event: The New Day (Big E and Kofi Kingston) w Xavier Woods defeated The Bar (Cesaro and Sheamus). August 19, 2018 – SummerSlam: The New Day (Big E and Xavier Woods) w Kofi Kingston defeated The Bludgeon Brothers (Harper and Rowan) by disqualification. Harper & Rowan retains tag team titles. August 21, 2018 – SmackDown Live: The New Day (Kofi Kingston and Xavier Woods) defeated The Bludgeon Brothers (Harper and Rowan) in a street fight to win the tag team titles. August 25-27, 2018 – Live Event: The New Day (Big E and Kofi Kingston) defeated The Bar (Cesaro and Sheamus) to retain the tag team titles. September 9-10, 2018 – Live Event: The New Day (Big E and Kofi Kingston) defeated Karl Anderson and Luke Gallows, SAnitY (Alexander Wolfe and Killian Dain) & The Usos (Jey Uso and Jimmy Uso) in a 4-way tag team match to retain the tag team titles. September 16, 2018 – Hell In A Cell Kickoff: The New Day (Big E and Kofi Kingston) w Xavier Woods defeated Rusev Day (Aiden English and Rusev) to retain the tag team titles. October 6, 2018 – Super Show-Down: The New Day (Kofi Kingston and Xavier Woods) w Big E defeated The Bar (Cesaro and Sheamus) to retain the tag team titles. October 16, 2018 – SmackDown Live (1oooth Episode): The Bar (Cesaro and Sheamus) defeated The New Day (Big E and Xavier Woods) to win the tag team titles. The Big Show joined Cesaro & Sheamus costing the distraction. October 23, 2018 – SmackDown Live: The Big Show w Cesaro & Sheamus vs. Kofi Kingston w The New Day ended in a no contest. October 30, 2018 – SmackDown Live: Big E w The New Day defeated Cesaro w Sheamus & The Big Show in a trick or threat street fight. November 2, 2018 – Crown Jewel: The Bar (Cesaro and Sheamus) w The Big Show defeated The New Day (Big E and Kofi Kingston) w Xavier Woods to retain the tag team titles. November 3-4, 2018 – Live Event: The Bar (Cesaro and Sheamus) defeated The New Day (Big E and Kofi Kingston) w Xavier Woods to retain the tag team titles. November 6, 2018 – SmackDown Live: The Usos (Jey Uso and Jimmy Uso) defeated The New Day (Big E and Kofi Kingston) w Xavier Woods. November 18, 2018 – Survivor Series: Team SmackDown LIVE (Big E, Epico Colon, Eric Young, Jey Uso, Jimmy Uso, Karl Anderson, Killian Dain, Luke Gallows, Primo Colon and Xavier Woods) defeated Team RAW (Bobby Roode, Bo Dallas, Chad Gable, Curtis Axel, Dash Wilder, Gran Metalik, Kalisto, Konnor, Lince Dorado, Scott Dawson and Viktor) in a tag team elimination match. November 27, 2018 – SmackDown Live: Kofi Kingston w The New Day defeated The Miz. January 27, 2019 – Royal Rumble: Xavier Woods entered the Royal Rumble match at #17 but was won by Seth Rollins. January 29, 2019 – SmackDown Live: The Usos (Jey Uso and Jimmy Uso) defeated Heavy Machinery (Otis Dozovic and Tucker Knight), The Bar (Cesaro & Sheamus) & The New Day (Big E and Kofi Kingston) w Xavier Woods in a 4-way elimination match to become #1 contenders for the tag team titles. February 19, 2019 – SmackDown Live: AJ Styles, Jeff Hardy and Kofi Kingston w The New Day defeated Daniel Bryan, Randy Orton and Samoa Joe. Kofi Kingston was named the #1 contender for the WWE title at Fastlane. 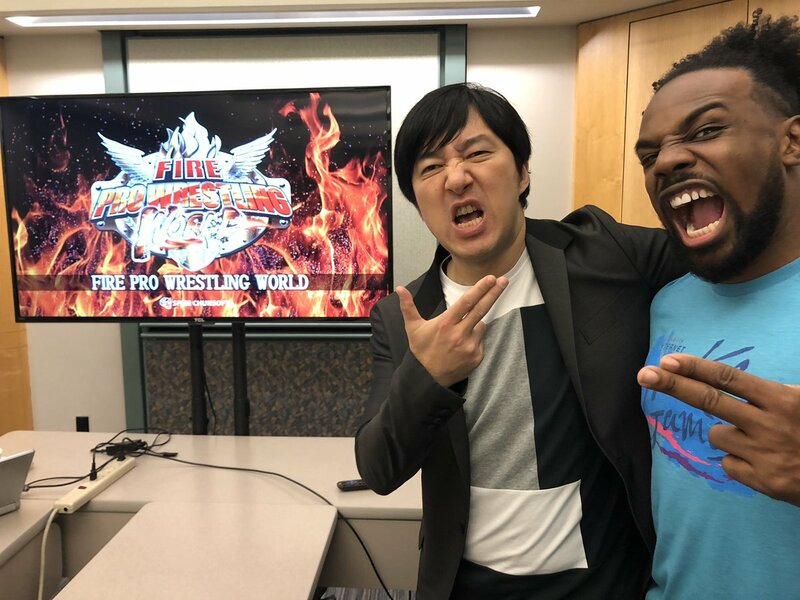 March 10, 2019 – Fastlane Kickoff: The New Day (Big E and Xavier Woods) defeated Rusev and Shinsuke Nakamura. 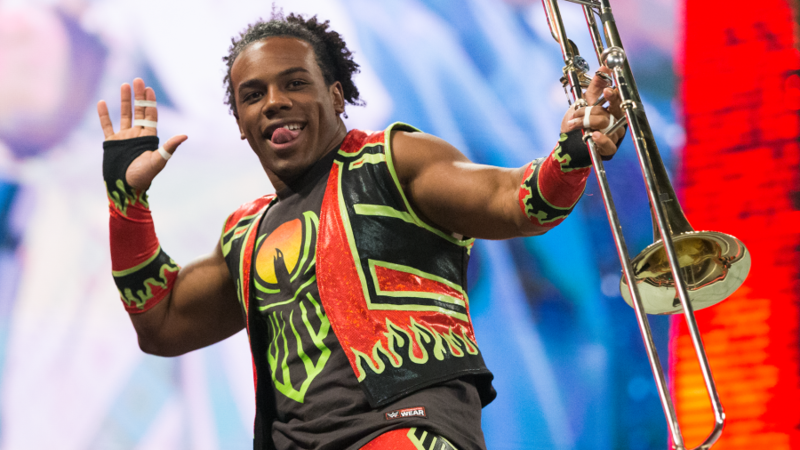 March 11, 2019 – Live Event: The New Day (Big E and Xavier Woods) defeated Rusev and Shinsuke Nakamura & The Bar (Cesaro & Sheamus) in a 3-way tag team match. 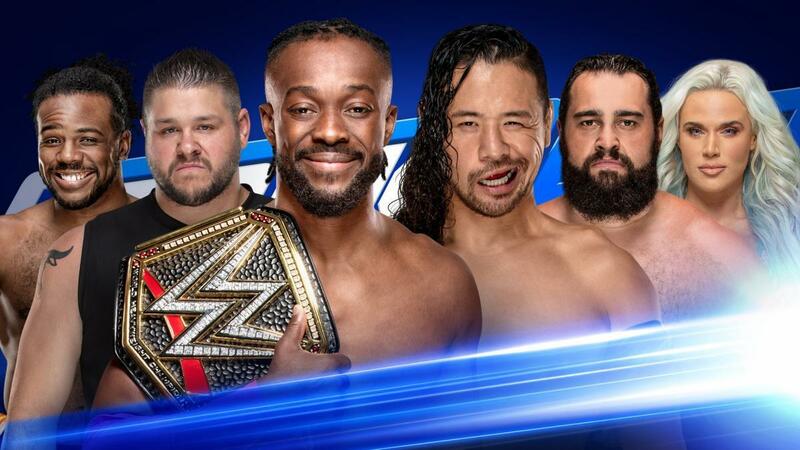 March 12, 2019 – SmackDown Live: Mr. McMahon gives Kofi Kingston an opportunity to prove him wrong. March 18, 2019 – Live Event: The New Day (Big E, Kofi Kingston and Xavier Woods) defeated SAnitY (Alexander Wolfe, Eric Young and Killian Dain). March 23, 2019 – Live Event: The New Day (Kofi Kingston and Xavier Woods) w Big E defeated SAnitY (Eric Young and Killian Dain) w Alexander Wolfe. March 24, 2019 – Live Event: The New Day (Big E and Xavier Woods) defeated SAnitY (Eric Young and Killian Dain). March 26, 2019 – SmackDown Live: The New Day (Big E & Xavier Woods) defeated Daniel Bryan & Rowan and Karl Anderson & Luke Gallows and Rusev & Shinsuke Nakamura and The Bar (Cesaro & Sheamus) and The Usos (Jey Uso & Jimmy Uso) in a tag team gauntlet match, where if the New Day wins, Kofi Kingston is going to WrestleMania 35. @XavierWoodsPhD @Y2JFan4Lyfe @MmmGorgeous @WWEBigE @TrueKofi I’d only ever heard “do a split” but apparently “do the splits” is more common. English is weird. @XavierWoodsPhD, @WWEBigE, @TrueKofi and @MmmGorgeous what kind of debate have you unleashed upon the world?! Simple answer to the question: Both, depends where in the 🌎 you are what you term it. ... but it’s doing 👏🏻 THE 👏🏻 splits.